Professional 3D Stl Viewer to import and read *.stl file format. 3D Stl Viewer can print and convert STL to DWG and other formats. STL file format is widely used for rapid prototyping and computer-aided manufacturing. 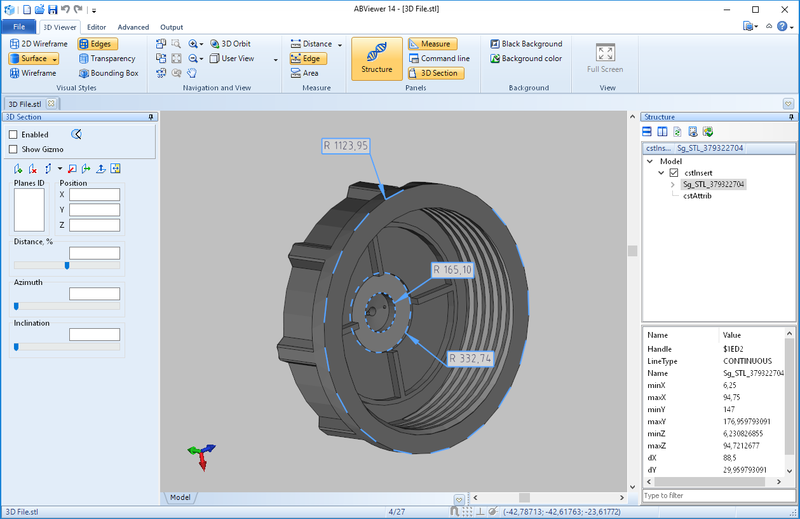 3D STL files describe only the surface geometry of a three dimensional object without any representation of color, texture or other common CAD model attributes. How to uninstall STL Viewer? 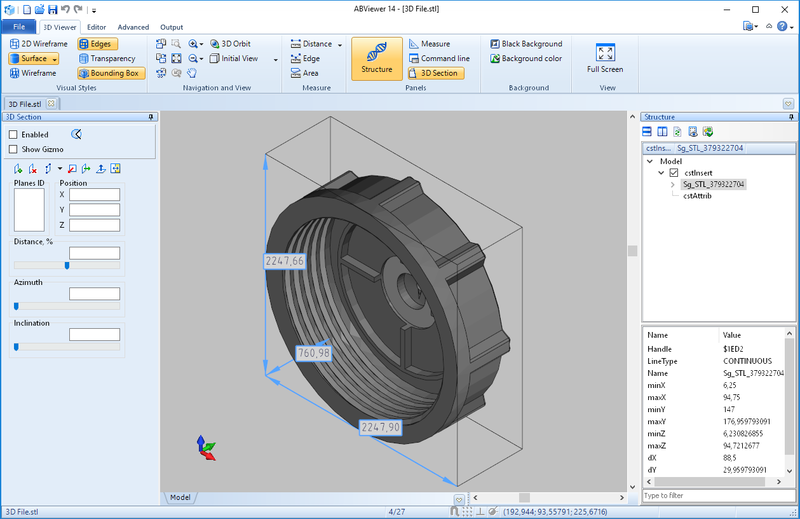 ABViewer, a STL Viewer, has a built-in deinstallation tool. To deinstall ABViewer choose the ABViewer folder (on default it is called CADSoftTools ABViewer 14) in the Start menu and click Uninstall ABViewer. Follow the steps of the standard Uninstall tool.